Students arriving before 8:00 AM need to be dropped off by the west side of the cafeteria. Please see the red line on the map. Students must exit the vehicle after the vehicle has moved through the turn around so the vehicle is closest to the building. This is the only open door for drop off before 8:00 AM. the orange line. The front door is the only door that will be open after 8:00 AM. The yellow lines indicate the paths for students to take to enter the building. local businesses after being dropped off. Students must go into the cafeteria once arriving at school. 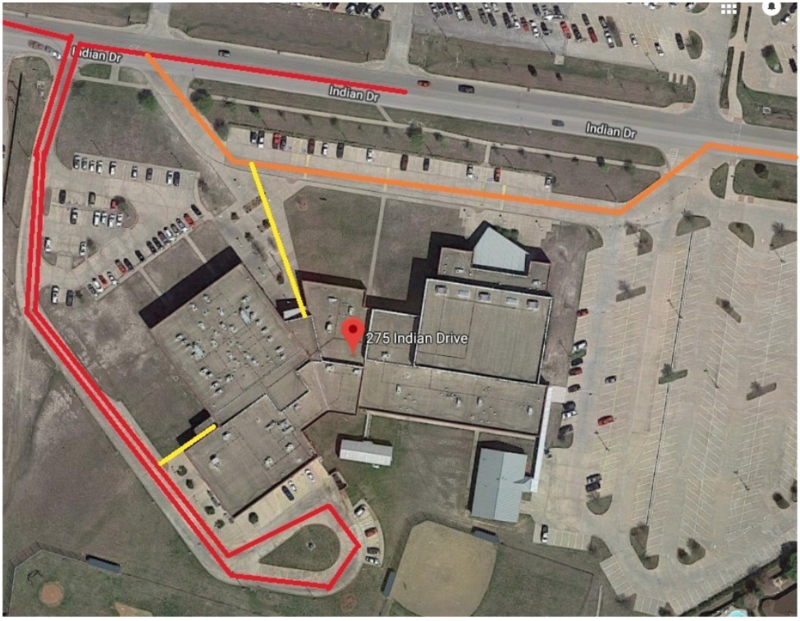 Please pick up students from the front of the building – see the orange line. Please be aware of the shuttle bus. It will also use the front drive through.